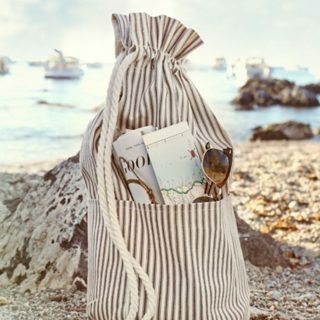 Raise your hand if you’ve ever been in a situation where a simple bag or your pockets just weren’t enough to store everything you needed to bring along as you were going about your day. 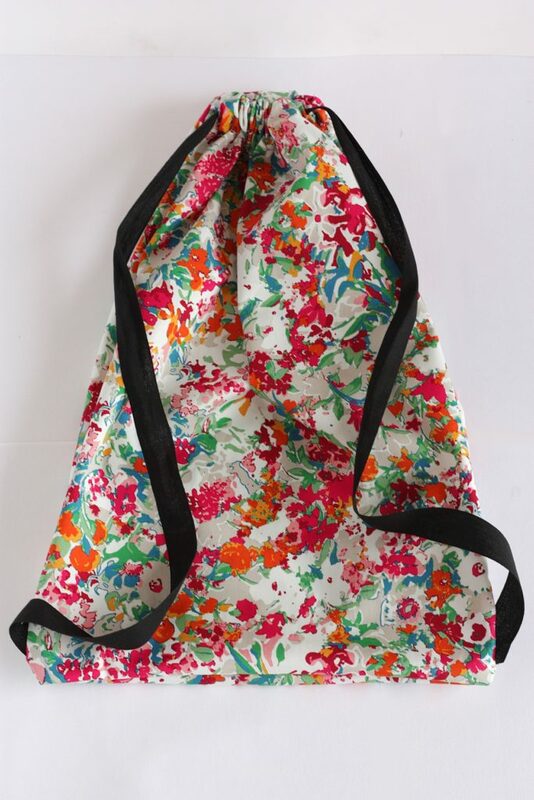 Drawstring bags are the most wonderful solution to this problem, as they can accompany you every time you leave the house and are suitable for all ages. 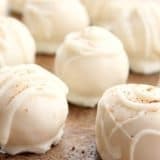 But they don’t just stop there – depending on their size, they can serve several purposes. 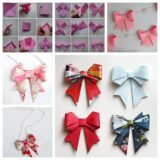 For example, they can also serve as a safekeeping place for jewelry pieces or family heirlooms. 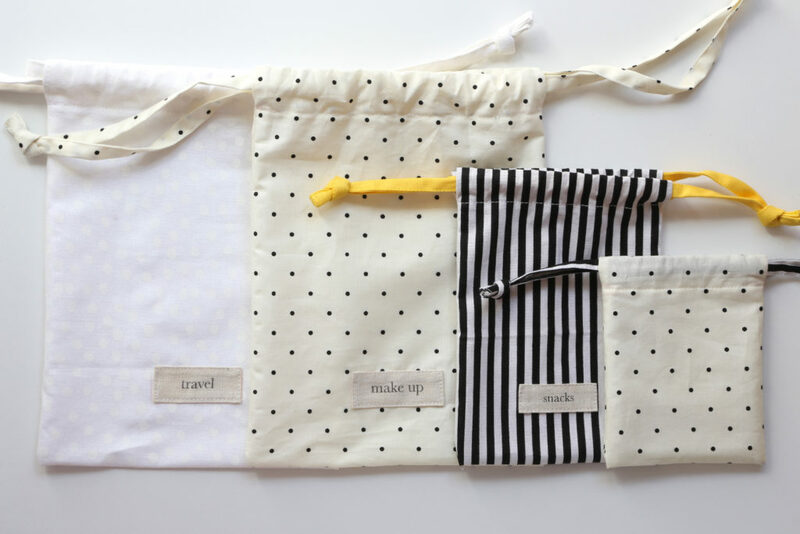 Here’s our versatile selection of DIY drawstring bags! 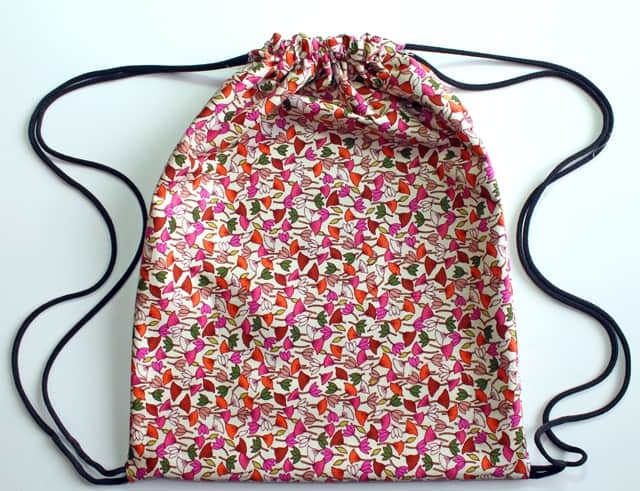 A drawstring bag can be a great accessory that you’ll quickly grow very fond of. 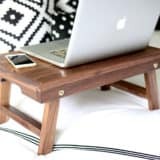 It doesn’t just look trendy, it’s also incredibly functional! 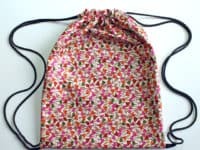 Punk Projects shares the tutorial for a DIY drawstring bag with a brightly colored floral patten that is perfect for teens who love wearing uplifting pieces. 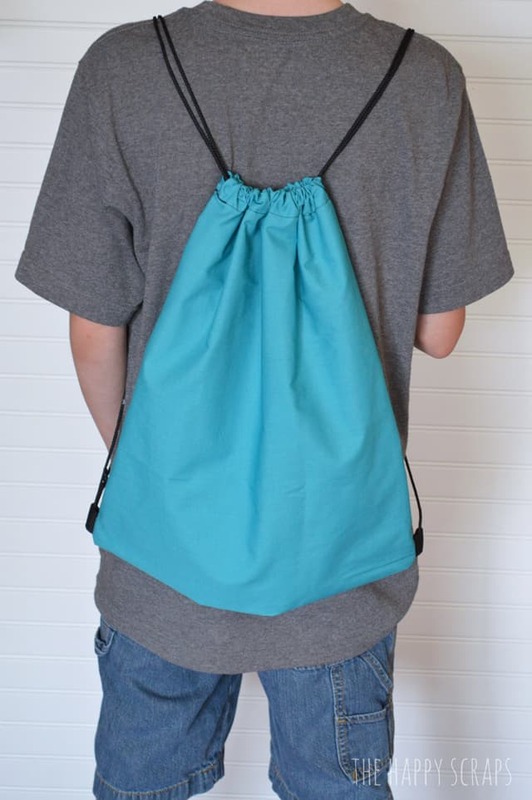 Classic backpacks are super cool, but it’s usually quicker to make a drawstring bag and they tend to stand out more! 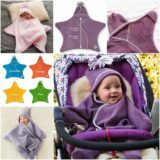 That’s their greatest feature – they can be functional and innovative at the same time. 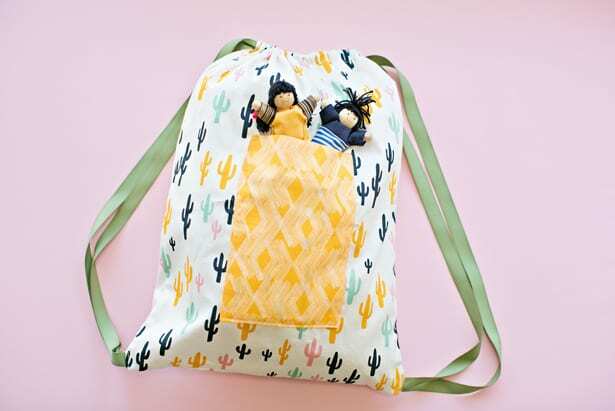 If you are loving this cactus drawstring backpack, visit Hello Wonderful for the how-to. 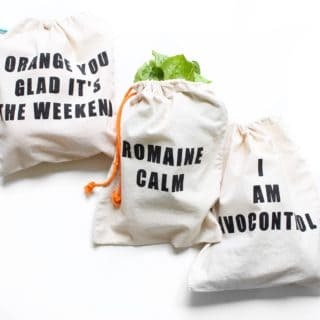 Drawstring bags don’t necessarily have to be huge. 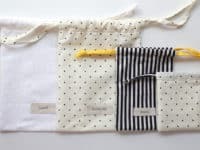 You can make smaller drawstring pouches with a very chic and elegant look and use them for storing your most important smaller items or give them away as gift bags! 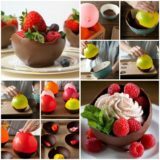 Find the full tutorial at A Cup of Thuy. 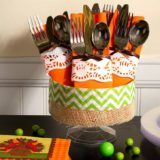 If you have kids, you know that finding proper storage solutions is never-ending. 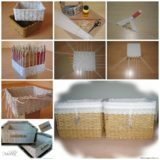 We think that these drawstring baskets by Threading My Way are going to make your life much easier. 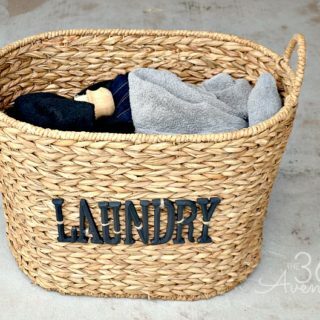 You can fill them to the brim with toys or clothes and easily close them without any of the contents spilling out when you lift the baskets up by the handles! When you’re a very busy momma and your teenager tells you that he needs a gym bag by this afternoon it’s easy to feel overwhelmed. Don’t worry, we’re here to help! 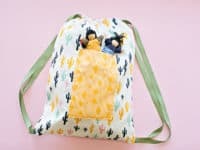 You’re only going to need 30 minutes to make this drawstring bag by The Happy Scraps and it’s going to win you the title of the most resourceful mom of the year! 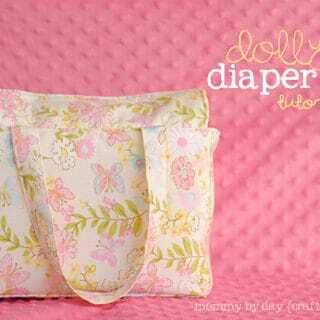 Why would you buy a laundry bag when you can DIY it? 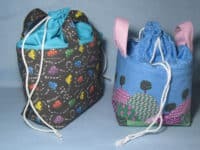 eHow shares a lovely idea for a handmade drawstring bag that easily fills the shoes of a laundry bag! Choose the type of fabric that will go well with your interior; you don’t want the laundry bag to look out of place, but rather as a natural element in the room. 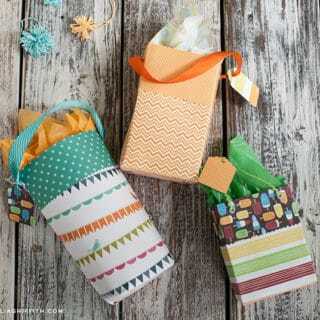 Once you get hooked onto shoe bags you’ll never be able to quit them! 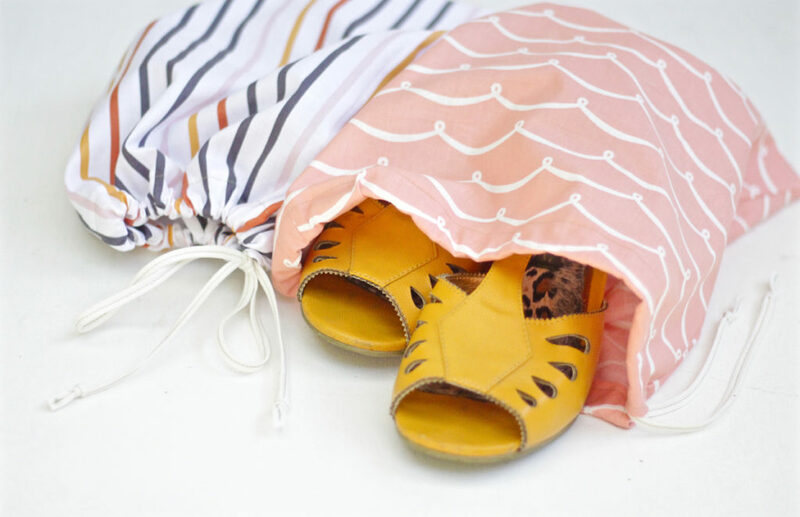 They are super useful when you’re traveling or need to bring another set of shoes when you’re switching outfits on the go. 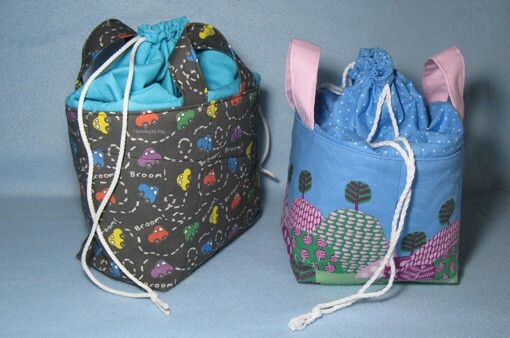 The drawstring shoe bags by We All Sew are beautiful, functional and done in 10 minutes! If you live in the city you know that it’s always awake. There’s ever a coffee shop open or a store that has a sale or a library waiting to be explored. 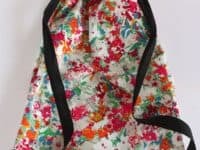 As you are venturing around beautiful streets, as a local or as a tourist, you’ll need this colorful urban drawstring bag by DIYs to keep you company! 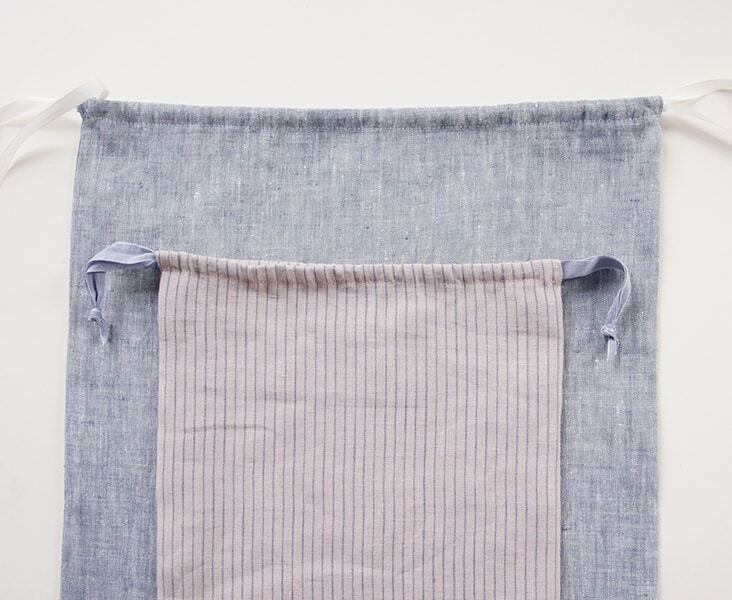 We are big fans of simplicity and firmly believe that it carries so much beauty. 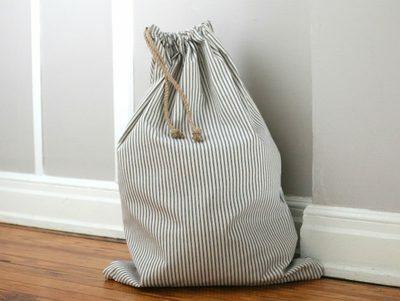 If you agree with us, you’re likely wondering if there is a way to make completely plain drawstring bags. 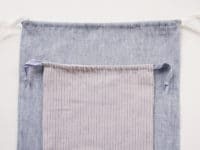 Allow us to point you right to Fabrics Store‘s soft and minimalist linen creation! 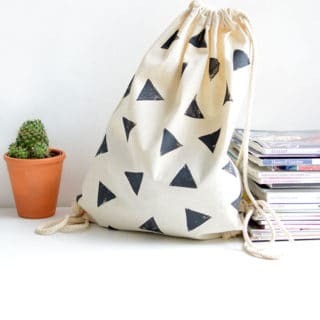 This is perhaps the cutest drawstring bag in this roundup, because you can give it to someone as a gift and totally make their day! 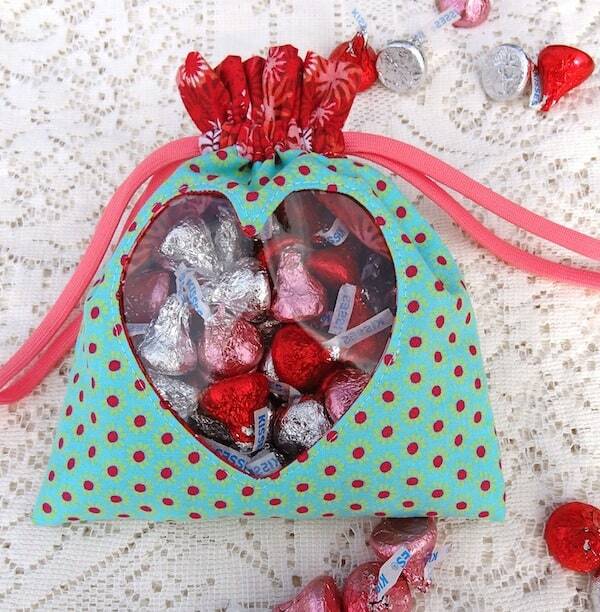 Fill it with the person’s favorite candy and surprise them on Christmas morning or Valentine’s Day. 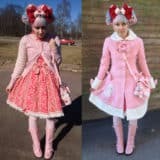 Twinkle and Twine shares the tutorial for this unique idea!